Everyone wants to make a difference in the world. To feel like they made and impact and felt like they made their mark on the world. For the Christian, making a difference is an impact that will last for eternity. It is having the chance to be in tune with God’s heart and His eternal values, a chance to make a change in the world through them. World missions gives us the opportunity to make the most important impact in the world. The last words of Jesus registered in Matthew 28:18-20 are: “…Therefore go and make disciples of all nations, baptizing them in the name of the Father and the Son and the Holy Spirit…” What part about the word “GO” don’t you understand? Just do what, you might be asking? Very few will go to the nations twenty-four hours after sensing God’s call. Preparation is important. One of the biggest surprises a young missionary has when they arrive on the other side of the world (in their field of service), is the discovery that they are the same person there, as they were at home! You need personal and spiritual growth, as well as biblical and cross-cultural preparation prior to going. When preparing to go, we need the blessing and backing of our local church! God sends missionaries through His body to take the church to where it is not, raise up a church and repeat the process all over again. We need to be sent from a local congregation for our own spiritual well-being, protection and covering. Additionally, we need a healthy view of what the church is — If we do not have a healthy biblical view of what the church is and should be, what type of church will we raise up on the field? A healthy church relationship and view of the church: Just do it! The locations worldwide where missionaries are needed today are difficult places. Missionaries have gone to and established the church in the “easy places”. To fulfill the Great Commission, we need to be willing to pay the price of going long term, learn a language and culture and only then (in many cases) develop a ministry strategy. How can you develop a culturally relevant approach to reach a culture, if you don’t speak the language and understand the culture? Long Term Commitment: Just do it! Too many missionaries have focused on going to countries and not considered serving among the nearly 7,000 unreached people groups still unreached within the confines of many countries today. Matthew 24:14 states clearly that: “this gospel of the kingdom will be preached to all nations (people groups) and then the end will come.” If we want to finish the Great Commission, we need to develop a more strategic view of the task at hand. Go to a people group: Just do it! 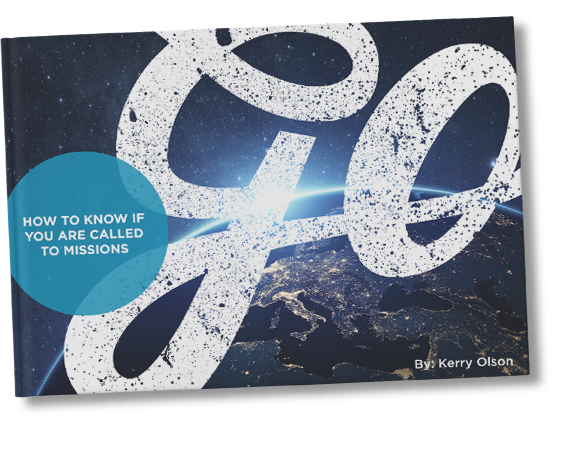 Jesus’ call to go and make disciples of all nations is as relevant to today as it was 2,000 years ago. It is both universal and personal. Launch out in faith, begin to prepare yourself, get connected with a great local church, commit yourself long term and go to a “nation” where the church is not yet established for His glory and the extension of His kingdom.